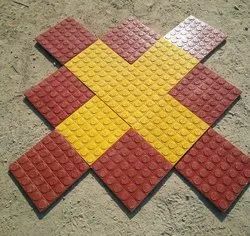 We are leading manufacturer of Chequered Tile. 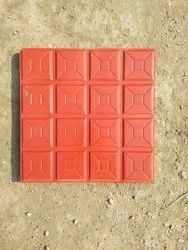 We are Offering Designer Pavers Moulds to our Clients. 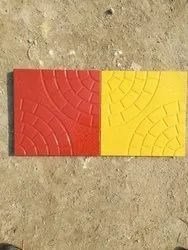 Interlocking Tiles are one of the most updated versions of products we are manufacturing. By the incorporation of colors and resistant power we are making them unique. They are smooth by the outlook and structure. 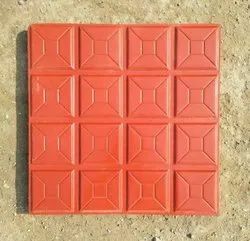 This kind of tiles are been desired by the soft organizations like religious place and spa. 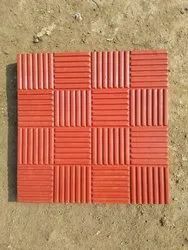 Due to our proficiency of this field, we are engaged in presenting Designer Chequered Tiles. We are presenting these products to customers within given time-frame. 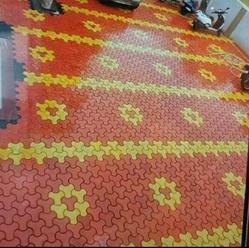 One can avail from us a quality approved assortment of Chequered Tiles. Owing to their top quality, our products are extremely praised amongst the patrons. 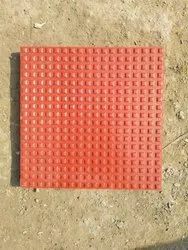 We are offering an extensive series of Concrete Chequered Tiles. These products are extremely employed in the market for diverse purposes. Custom Chequered Tile is a kind of tile offering zigzag shape with curved sides. They offer some of the softer version of colors and a special interlocking system. Experienced hands are incorporating some highly recognized quality parameters in the manufacture of the same. They are durable and very easy to install.